For accommodation, our guests have a choice of 2 close hotels; Bolton Whites (on site) and Premier Inn (5 mins by car). With 125 modern and spacious bedrooms, Bolton Whites Hotel provides you with plenty of space and comfort ensuring a relaxing stay whether your with us for work or pleasure. Their bedrooms are amongst the best in the area and boast the finest facilities we have to offer, with large beds, en-suite bathrooms, free wi-fi, refreshment tray and full use of the leisure facilities, all to ensure that you’re comfortable during your stay with us. Details of room types are available here. To make a reservation please contact The Bolton Whites Hotel directly on 0844 980 2363. More information on the hotel can be found here. 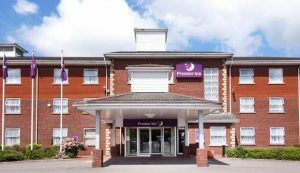 The Premier Inn Hotel Bolton (Stadium/Arena) puts you in a great spot whether you’re here for the big game or some serious shopping. You’ll be minutes from the stadium and Bolton Arena and with Horwich Parkway and the M61 nearby, you’ll be well connected wherever you’re going. Get out and about to explore the sights of Bolton, Wigan, Manchester and the rest of the North West. 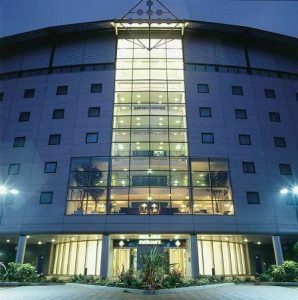 Stroll to the Bolton Wanderers’ Stadium, less than a mile from the hotel. Or seek out some great deals at Middlebrook Retail Park. Then relax in our tasty restaurant, spacious rooms and comfy beds. To make a reservation please book online here or call 0871 527 8116. More information on the hotel can be found here.